The building was also used as a church. My parents, Basha Taylor and Lawton Hicks were married there. The buildng was located on a one-acre lot on Upper Junaluska Road at the entrance to Jess and Culla Hicks Mathis property. On the left: Robert Barker, teacher. He boarded with Memory Taylor during the school term. He later became a well-known Baptist minister. Behind the bench, left to right: Dan White, Willie Belle White, Cora Hicks, Monnie White and Tom Emery. Standing in front: Fred White, Kermit Taylor, Lola Emery, Ona Bryant, Culla Mae Hicks, Ethel White. 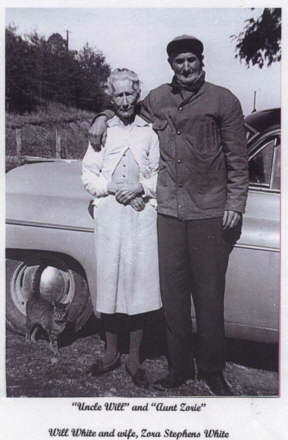 Tom and Lola Emery were the children of Verlie White Emery. Dan, Ethel and Monnie White were children of Will and Zora Stephens White. Cora and Cullie Mae Hicks were children of Jim and Maggie Hoyle Hicks. 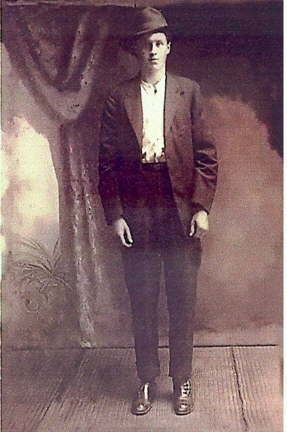 Kermit Taylor was the son of Memory and Emer Stephens Taylor. Kermit and Cora Hicks were married March 21, 1930. Lawton Hicks and Basha Taylor were married in this building on Sept. 21, 1919. 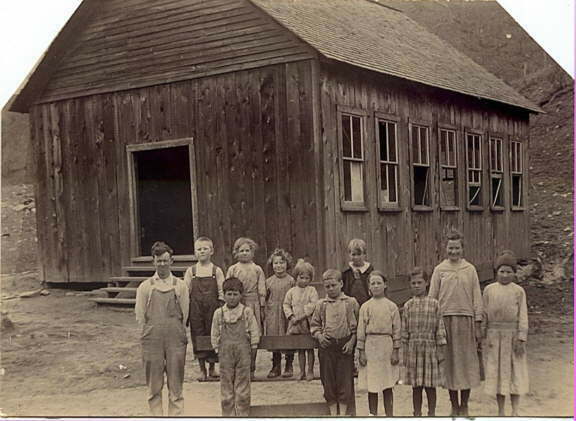 Their first child, James (Bud) Hicks attended the first grade here, then went to Lower Junaluska School. This Page Courtesy of Cleo Hicks Williams. 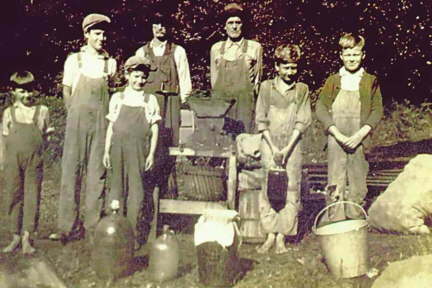 This is a picture of both my grandfathers, my brothers & uncles at a cider press. I was absolutely thrilled with it when I scanned it in, enlarged it & saw the old jugs & the details. It is a treasure! 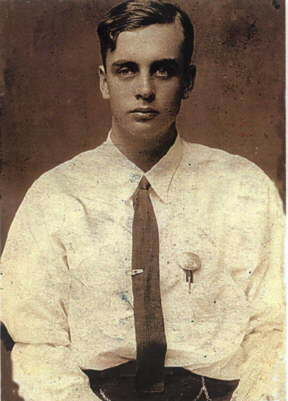 Joel Lawton Hicks as a young man. Kermit Taylor, brother of Basha Taylor Hicks and Lizzie Taylor White. 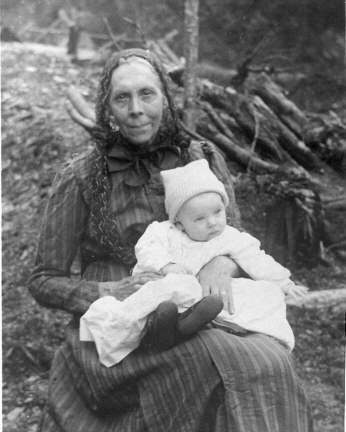 Son of Memory and Emer Stephens Taylor, was married to Cora Hicks. They had 2 children, Lawson "Tooter" Taylor and Edith Harriett Taylor Lambert. 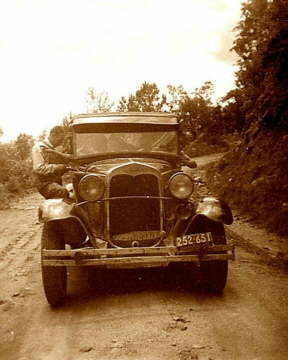 Kermit was drowned in the river below where Nantahala Dam now is, about 1937. 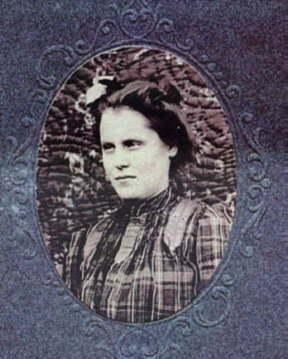 Wife of James Thomas Taylor 2/17/1847-11/1/17 Married August 25, 1872 in Towns Co. Ga. James Thomas died in 1910. Alice Talma, Edith Louise, William Ralph, Paul Wesley, Ellen Elizabeth, Walter Allen, Virgil Edwin, Clifford Wade, Nellie Marie, Theodore Frank. This is Hadley Morgan standing by Lawton Hicks' car. Will & Zora White are the parents of Dan, Ethel, Monnie, Arvil & Arnold White. There may be others I don't remember. Dan lived on Nantahala (Aquone).